With deep roots in traditional music and guided by the ambition of bringing the đàn tranh to a new expressive domain, Nguyễn Thanh Thủy started working with contemporary composers some ten years ago. 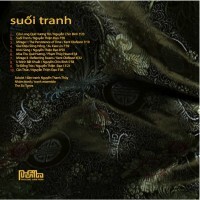 The solo đàn tranh composition Khói Sóng was the first result of a collaboration with the Vietnamese/French composer Nguyễn Thiện Đạo. Though born in Vietnam, he has lived in France since 1953, where he also caught fame as a composer. In 1974 he received the Prix Olivier Messiaen for composition awarded by the Erasmus Foundation in the Netherlands and the Prix Andre Caplet (Académie des Beaux-Arts) in 1984. In later years he has shared his time between Hanoi and Paris and has also been increasingly engaged with traditional Vietnamese instruments and the musical heritage of the country. Since the beginning of this collaboration in 2004, Thủy has discovered many new sonorities in her instrument and has been forced to develop several new playing techniques. 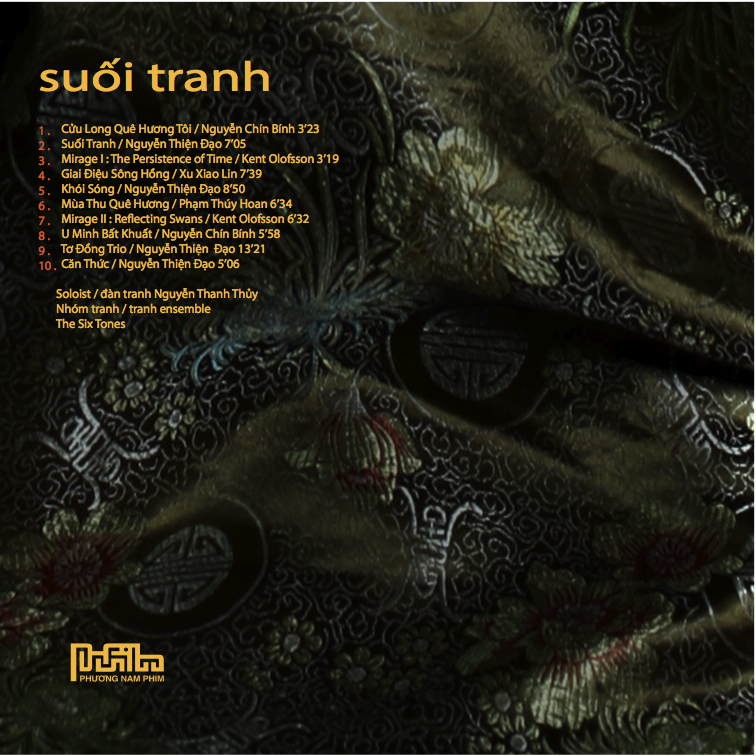 The making of Khói Sóng has since then led to a number of new compositions and they are all brought together and recorded for the first time on this CD. Nguyễn Chín Bính and Phạm Thúy Hoan were the first composers to write for the đàn tranh in the 1970s and 80s. 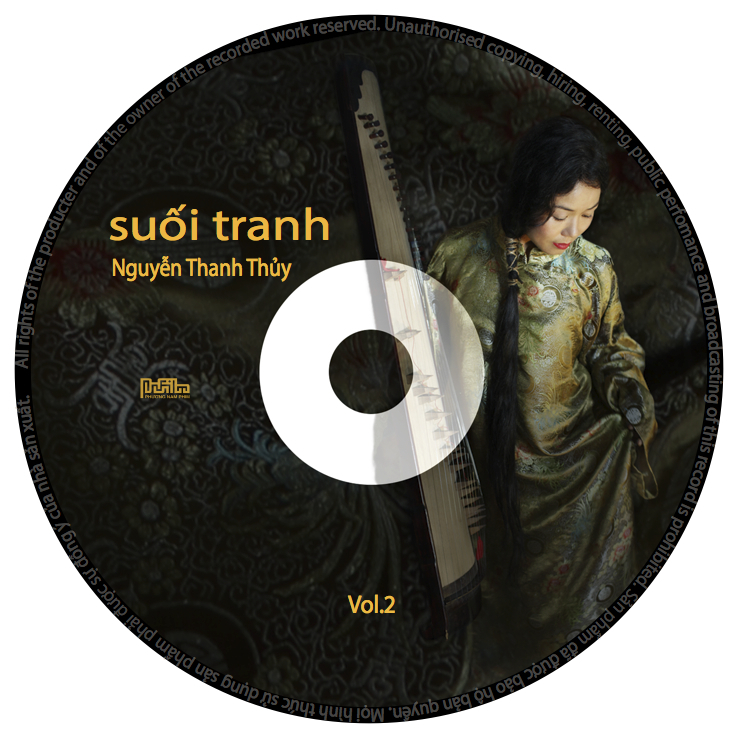 As we can hear in the works on this CD, though the melodic material is taken from traditional Vietnamese music, the form in these pioneering works is inspired by Western idioms. Xu Xiao Lin lives in Beijing, China, and is one of the most important composers for the guzheng. In a festival of music for the family of Asian zithers, she was impressed by the sameness and difference between the đàn tranh and the guzheng. Starting from this inspiration she composed Giai Điệu Sông Hồng, a piece for đàn tranh and guzheng. This piece has been played in China, Vietnam and Singapore. Nhóm Suối Tranh: Thùy Dung, Trịnh Thị Hạnh, Kim Chung, Quỳnh Ngọc, Minh Hồng, Thu Thủy.